Migraine affects everyone differently depending on the specific migraine diagnosis, and therefore the duration of attacks can vary. 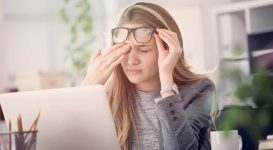 It is important to understand and recognize the different phases of migraine – prodrome, aura, headache, and postdrome. Catching the attack early on is key in stopping it from getting worse and will help the overall management of the disease. Keep on reading to discover the answer to “how long do migraines last?” below. The first phase of migraine is known as the prodrome or “pre-headache” phase. This can occur over a few hours to several days before and marks the beginning of a migraine attack. Keeping track of your postdrome symptoms will help you and your healthcare team develop a treatment plan that will best suit your migraine. Management tools may include medications, behavioral modifications, mindfulness, and meditation. For example, when you start to recognize the patterns to your migraine and notice when symptoms arise before the headache phase, this is the time to take action. Take your abortive medication as soon as the prodrome phase begins. The earlier you treat the migraine, the less likely it will reach the later stages. According to The International Classification of Headache Disorders 3rd Edition (ICHD-3), an aura is the complex of neurological symptoms that usually occurs before the headache of migraine with aura, but it may begin after the headache phase has commenced, or continue into the headache phase. Visual aura is the most common type of aura, occurring in over 90 percent of patients with migraine with aura, at least in some attacks. Other types of auras include sensory, speech and/or language, motor, brainstem, and retinal. Common visual disturbances are zig-zagging lights, geometric patterns, flashing or shimmering lights, blurry vision or vision loss. These symptoms spread gradually over five minutes and can last up to sixty minutes. How Long Does a Headache Last? The headache phase typically lasts from 4 to 72 hours and is categorized by pain on one or both sides of the head. Each headache phase of a migraine attack can differentiate from person to person and by each attack. Some may be milder while others will be completely debilitating. Pain can start unilaterally and eventually move to the other side of the head or encompass both sides. Nausea, photophobia, phonophobia, vomiting, sensitivity to smell, the inability to sleep and anxiety are symptoms that can be included along with the head pain. Any physical activity usually makes the pain worse and is avoided. The postdrome phase is commonly known as “migraine hangover.” This phase occurs after the headache phase and can last anywhere from 24 to 48 hours. It is called the hangover phase because it feels similar to having a hangover after consuming too many alcoholic drinks. Symptoms include dizziness, fatigue, difficulty concentrating, sensitivity to light and body aches. Even though the headache phase is over, people who are in the postdrome phase are still in a migraine attack. Therefore, it is important to avoid triggers. Try engaging in relaxing activities and avoid stress. What Happens When an Attack Lasts Longer? When a debilitating migraine attack lasts longer than 72 hours, it is called status migrainous or intractable migraine. 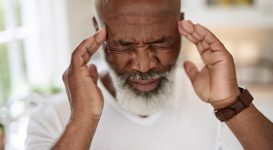 This can occur in people who have migraine with or without aura and is typically a result of medication overuse headache. Pain and symptoms are unremitting for more than three days and are not accounted for by any other diagnosis. 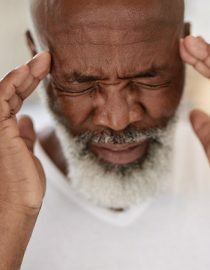 A medication-overuse headache is a headache occurring on 15 or more days per month in a patient with a pre-existing primary headache and developing as a consequence of regular overuse of acute or symptomatic headache medication for more than three months. It usually, but not invariably, resolves after the overuse is stopped. 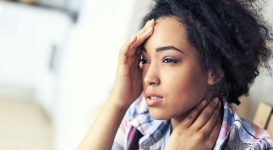 How Is Intractable Migraine Diagnosed? Diagnosing intractable migraine is usually a long process. The doctor and the patient have to work together to identify patterns in the migraine attacks, including the upkeep of a detailed headache diary. This helps in identifying triggers and which treatments have been helpful with relief. Although some patients may give up due to the length of the process, it is beneficial to stick it out to find an effective treatment. By the time someone has become intractable, most treatments are no longer effective in stopping the migraine. However, some treatments can help end an intractable migraine may include dihydroergotamine, sumatriptan, or steroids. 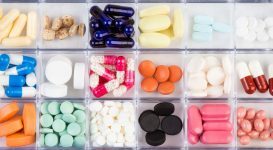 Taking preventive medications can help reduce the number of attacks, thus reducing the chance of one becoming intractable. 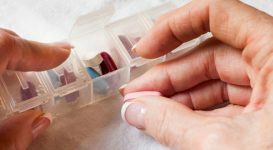 Possible preventive treatment options may include blood pressure medications, antidepressants (tricyclics or SNRIs), anti-seizure medications, or botox injections. No matter what your history is with migraine or how you experience attacks, keeping track of how long your migraine lasts, all your symptoms, triggers and patterns will help you manage them in a much healthier way. "Friends and relationships can slowly change once migraines become frequent," Barbara writes on maintaining relationships with migraine. You might also like...Is a Daily Headache the Same as a Migraine?